Looking for a quick present to make? 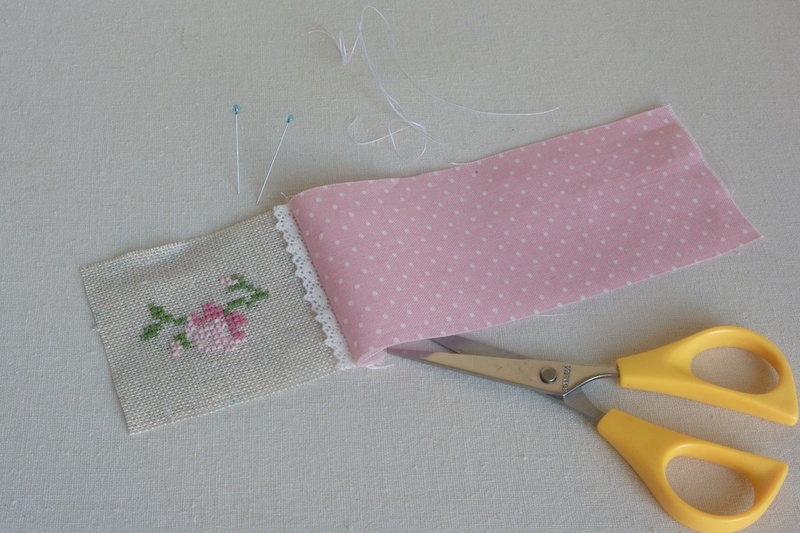 Or a way to use that teeny weeny embroidery you made a while ago or some of your favourite pieces of fabric? 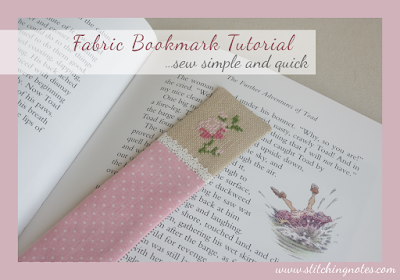 Or maybe you find yourself using anything but a bookmark in a book you are reading? If the answer to any of these questions is yes, then this simple and truly quick tutorial is for you. All you need is just a few minutes of spare time and bits of fabric. 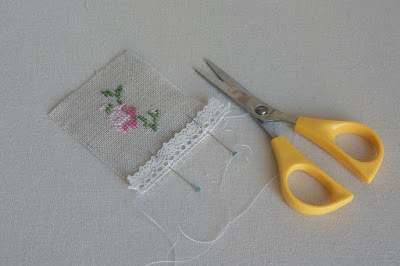 mini embroidery or cute print approximately 2 1/3" x 2 1/4"
one piece of fabric for front approximately 5.5" x 2 1/4"
and one piece for back approximately 8" x 2 1/4"
Step 1: Pin the piece of lace about 2mm away from the bottom edge of the embroidery piece and stitch in place close to the edge. Step 2: Pin front (5.5" x 2 1/4") and embroidery pieces right sides together. Stitch with a 1/4" seam allowance. 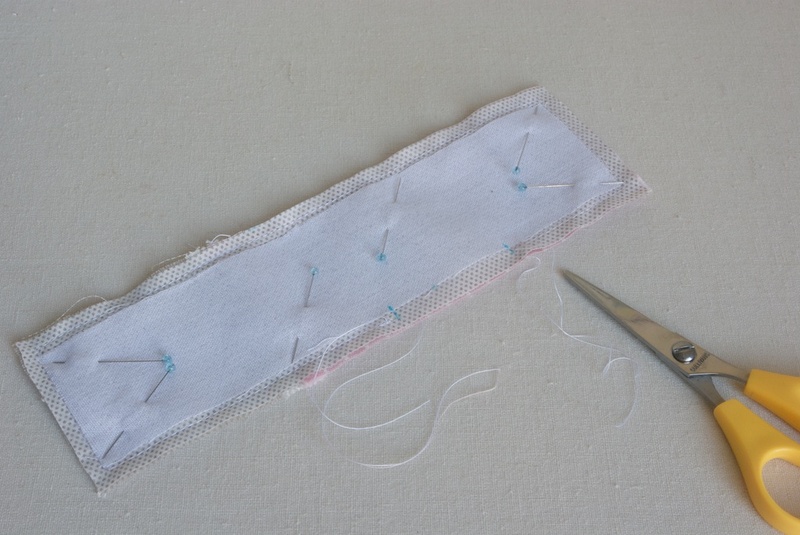 Step 3: Press gently, making sure that the seam is pointing away from the embroidery. 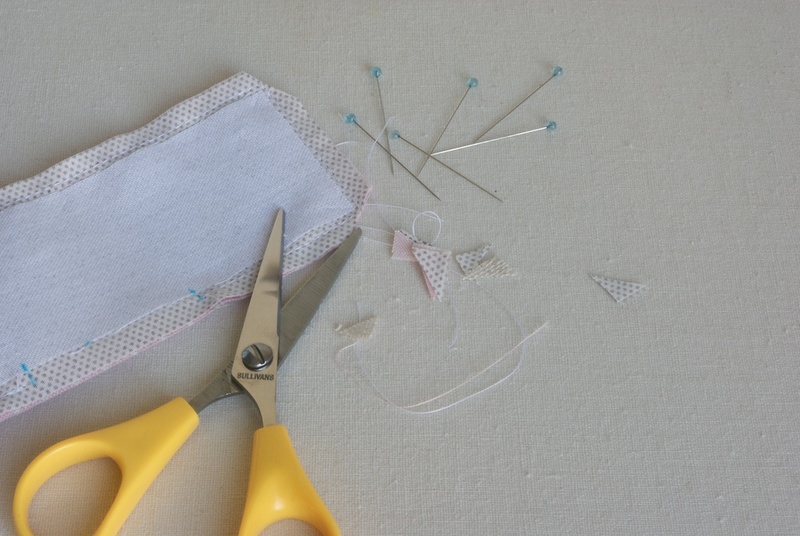 Step 4: Following the manufacturer's instruction, fuse interfacing to the wrong side of back and front parts. If you are using light weight interfacing, then apply it to both front and back. I am using light weight cotton iron on interfacing. 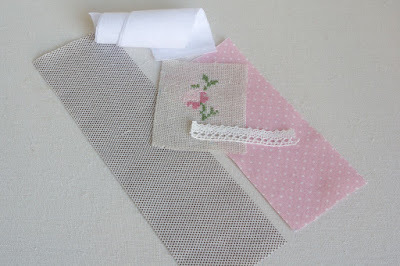 If you are using a heavier type of interfacing, then apply it only to the front part. Step 5: Pin front and back pieces right sides together. Mark an opening on the long side. 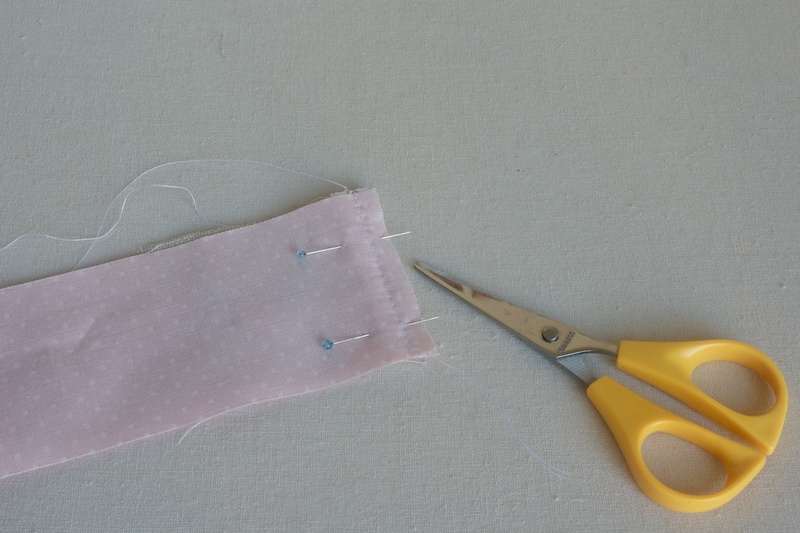 Stitch around from point to point with a 1/4" seam allowance, do not forget to backstitch the beginning and the end of your seam. Step 6: Trim all the corners. Step 7: Turn the bookmark the right side out. Carefully push out the corners. 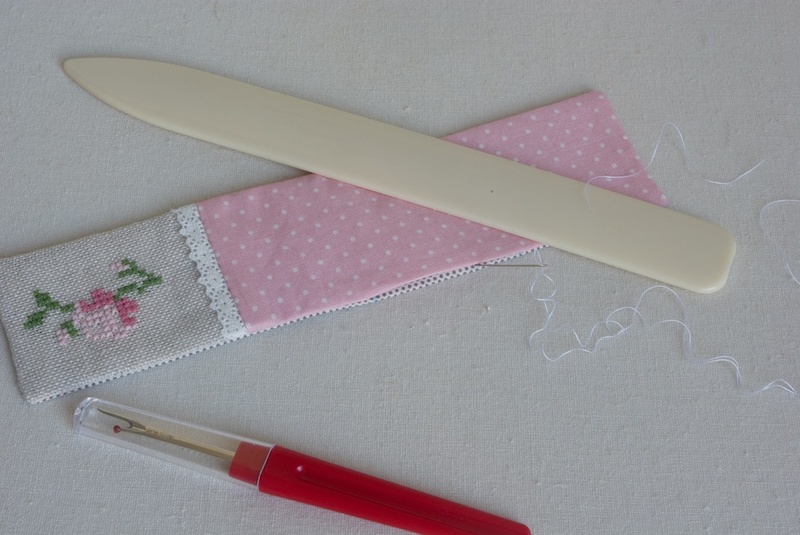 I like to use my seam ripper to carefully pull out the corners so they all are nice and straight. Stitch the opening closed by hand. You might want to press your bookmark gently. 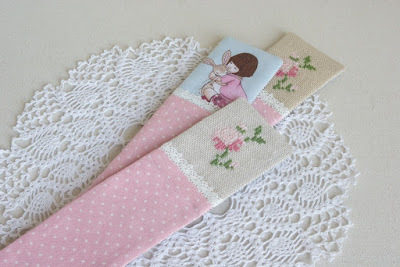 I made two more bookmarks, one with the same cross-stitch design and the other one with a piece of Belle & Boo fabric. 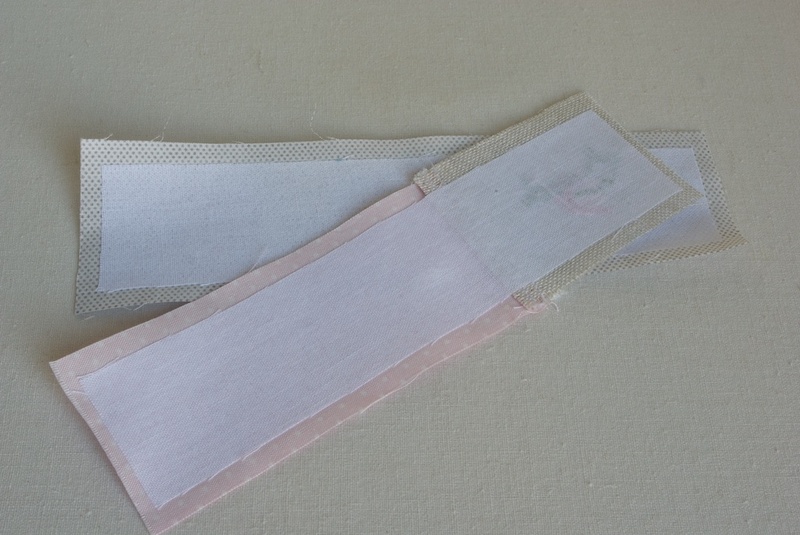 I used Vilene H 630 Fusible Wadding, applied only on the back of the front part. 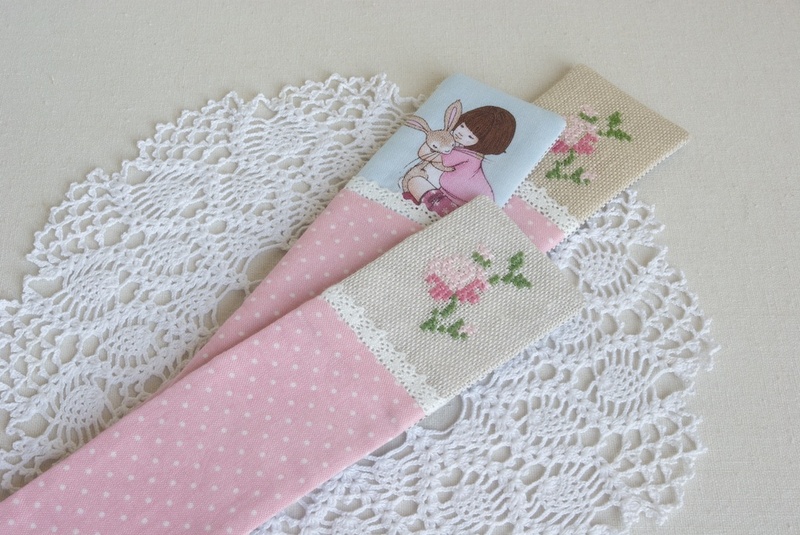 Even though the bookmarks are a bit more thicker, I think I prefer it this way. 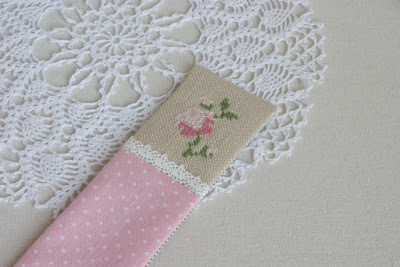 So much prettiness in such a quick and easy project! Thank you for the idea and the tutorial, Larisa.